Do you want a coin ? not a bitcoin ? A souvenir bitcoin but its a gold one ? or a currency? Do you recognize what is this coin ? 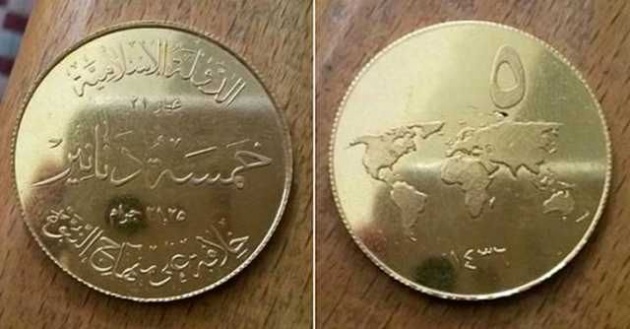 Its from the ISIS , they already have a coin currency !! I just wonder who will gonna use this and what countries would do an exchange for this coin.